Education is an empowering experience and being fresh out of it myself, personally I know that though it is a never-ending lifelong process, it could definitely wind up being a pricey one. This rings true especially for those who are pursuing their tertiary educations overseas, and that is beginning to become a more popular option for Malaysian students nowadays. One way that students could alleviate the cost of their education is by working hard towards attaining a scholarship. The beauty about scholarships is that it rewards those who toil in order to be rewarded. There are numerous options available nationwide and a student need only see if they qualify for it, prior to applying. It could be a hassle at times though, not to mention numerous open tabs at once in order to search for a particular scholarship. However, this just comes with the territory of being a student. One portal which gathers scholarships under a single platform and expedites the searching process is ScholarDeck. 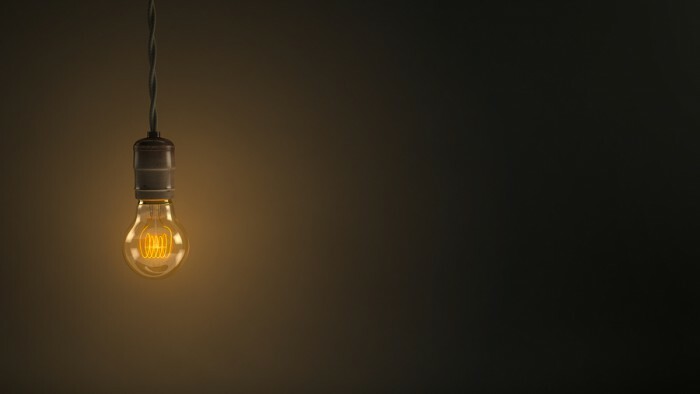 Convenience is what they have provided since their inception in March 2015 and that is what they hope to do till the end—although the end is unfortunately sooner than we thought. 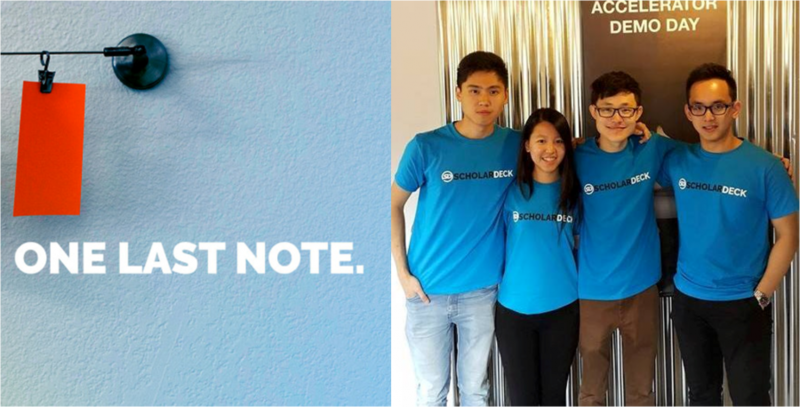 Run by 4 young students—Ho Xing-Yi, Loh Hong Khai, Chong Yik Surn and Angeline Lim—ScholarDeck is essentially a central hub for scholarships. Their portal connects students to scholarships in 25 countries worldwide and in numerous fields of studies, including land surveying and urban planning. Throughout the past 9 months and counting, they have connected a whopping amount of 30,000 students to their potential scholarships. As indicated on their site, students have also looked up scholarships on their platform more than 57,000 times. Their dream became a waking reality when the number of students that they have impacted, validated their startup. However, like with many good things, they’ve revealed that the core team is reaching to an end. In the same blog post, the team ended their story, stating that the 4 founding members will cease working on ScholarDeck as a search-for-scholarships platform till the end of the scholarship cycle, which is March 2016. It may not directly impact those who are just on the site to search up their scholarship of choice, but it will definitely impact those who have poured out their blood, sweat and tears, namely the 4 founding members themselves. The wonderful thing about startups is that they also tend to be peers with one another, as seen with the ScholarDeck team graciously linking scholarship finders with their friends at similar platforms such as EasyUni, SkolaFund, EduAdvisor and UniDigest. With all being said, it boils down to a single question: “Why are the core four bidding adieu?” The answer is a simple one. “We are an all-student team, and while we were happy with our progress and the results we’ve managed to achieve in a relatively short period of time, we had our studies to fulfill,” the team stated on their blog. Young and ambitious, they have the desire to make their positive dent in the world but they faced hardships such as not being in the country and having to schedule client meetings to fit with university and exam times. All these eventually added up. Xing-Yi told Vulcan Post that they faced hardships throughout their time with ScholarDeck, but they have also learnt how to overcome them. That could be one of the underlying factors to how they have managed to grow to impact students in the thousands. For instance, where they faced a lack of proximity to the market seeing since 3 out of 4 co-founders are not based in Malaysia, as well as availability of time, they learned to counter such situations with good time management. “We’d allocate a few days a week to solely focus on working together, and I’d block out a few hours every other morning for ScholarDeck too. We also leverage heavily on the latest online tools for communication, and to optimise or automate certain mundane tasks,” said Xing-Yi. An overarching theme which the team has learnt from their challenges and what matters most to a success of a tech startup, is the speed of execution and intensity of focus of the team. “We realised that it wasn’t about how much time we were spending every week on ScholarDeck, and neither was it about how perfect our implementation was—at the early stages at least, it’s all about building, shipping, testing, and repeating this process as quickly as possible,” Xing-Yi relayed. Time seemed to be the one thing which the team had, but at the same time, didn’t have enough of. While they found only little pockets of time to catch a breath, they did however find the time of their lives with ScholarDeck. 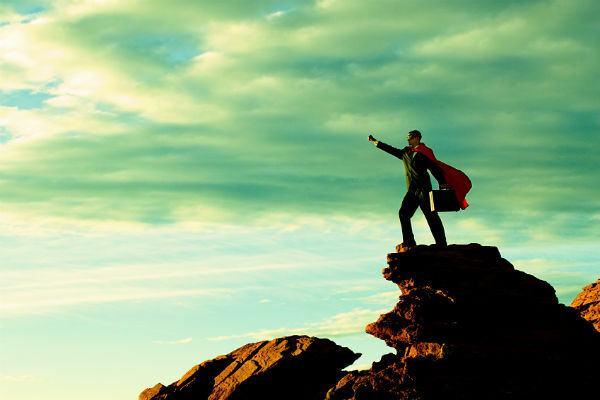 “Building a tech startup is an extremely rewarding experience. You’ll learn in 1 year more than what you would learn practically in 3 years at university, but more importantly you’ll grow as an individual,” Xing-Yi shared. These were skills which the team could put to good use even as students, whereby they could eliminate the habit of procrastinating, cultivate their own values and perspective, as well as leverage on their network at college or university. “You’ll find established individuals around you who are extremely willing to mentor, and you’ll find talented students around you who are keen to join you on your journey. Grow yourself, grow your team,” the co-founder said. When Vulcan Post then asked if there would be any plans for the core four to start up something of their own in the future, Xing-Yi told us the story of their growth thus far. “One of the difficult decisions we made for the long-run benefit was to shift our focus from ScholarDeck, to gain working experience at high-growth startups and upskilling ourselves until we complete our studies,” he said. Xing-Yi mentioned that building a tech startup essentially requires full-time commitment, hence that is something that they’ll see as time goes along, at the end of their final semester. Yet again, time plays a role in their journey, and as with their time with ScholarDeck, it certainly made a mark on their paths.